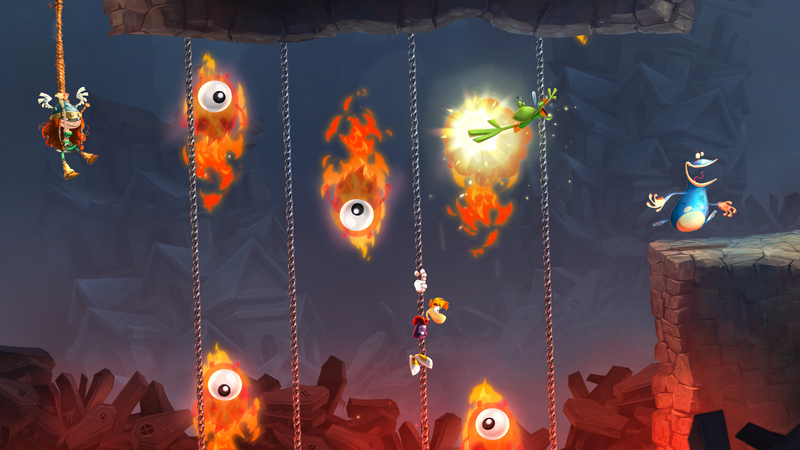 Ubisoft Montpellier's platformer Rayman Legends is in development for the PC. The PC version of Legends will arrive alongside its Wii U, Xbox 360, PS3 and PlayStation Vita counterparts this fall. 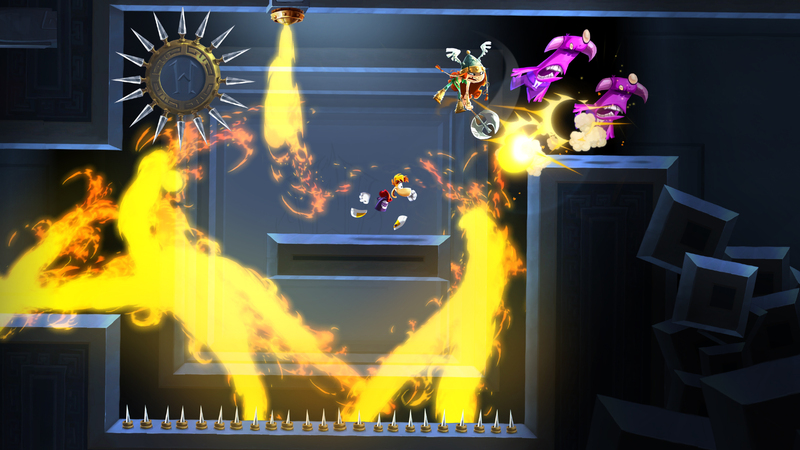 Rayman Legends builds on the gameplay of 2011 release Rayman Origins. Four players team up to free Teensies, defeat enemies and collect Lums. The playable characters will be joined by a new addition called Barbara. 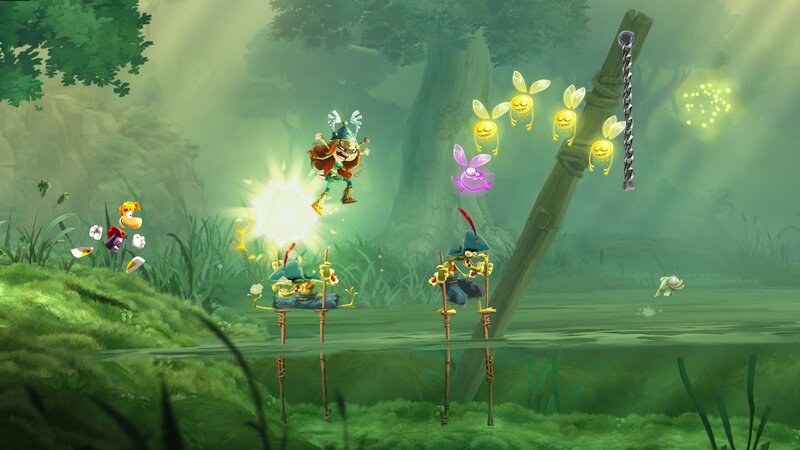 On the Vita and Wii U, a fifth player can take on the role of a fairy named Murfy who assists players by grabbing enemies, helping players collect Lums and more. Murfy is controlled by A.I. in the PS3, Xbox 360 and (presumably) PC versions. 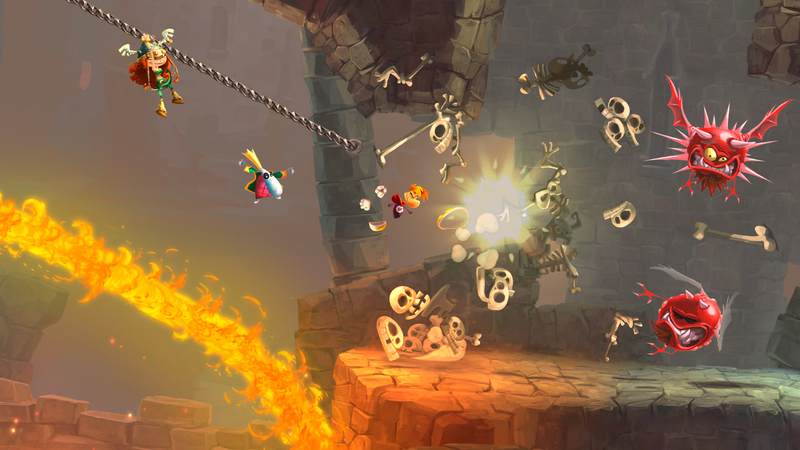 Ubisoft is offering gamers a special treat if they pre-order the digital PC version of Rayman Legends through the UbiShop. What? Yes, the UbiShop. It's an online store operated by Ubisoft. Yes, it's a real thing. Anyway, pre-ordering the game at the UbiShop will earn you a free copy of Rayman Origins. If you haven't played Origins, though, you'll still be able to sort-of experience that game through Legends. Ubisoft has included a "Back to Origins" chapter in Legends with 40 reworked levels from the older game. Legends was originally planned as a Wii U exclusive. However, Ubisoft decided to delay the game from February to September so that they could release it simultaneously on PS3 and Xbox 360 as well. "We decided to give the fans what they wanted while at the same time broadening the audience exposed to this innovative and memorable game," Ubisoft CEO Yves Guillemot said of the decision to go multiplatform. He later admitted that the poor sales of their Wii U exclusive ZombiU were a factor. Ubisoft didn't mention what would be different, if anything, about the PC version. They sent out screenshots of the version below and you can see for yourself whether or not they look better than other editions. Maybe all their development time went into preventing mysterious PC-exclusive delays, though. The PC version of Legends has been farmed out to Ubisoft Chengdu. What? Yes, Chengdu. Wikipedia tells me that it's the capital of Sichuan province in Southwest China. It has a population of over 7.6 million so I think we both need to get out more.